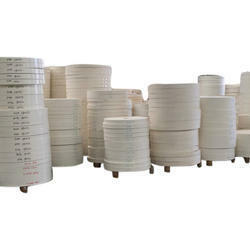 Our product range includes a wide range of paper cup bottom coil. Paper Cup Bottom Coil is crafted with quality assured paper to work in compliance with international standards. It is engrossed with optimum quality characteristics like easy usage, environmental friendly, soft texture and appealing look. The available range of disposable paper cut bottom coil is widely appreciated among our customers for paper cup making industry. Our customers can avail this coil in an assortment of specifications at market leading prices.